Based on 573 customer ratings. Stop by our Streamwood location and relax in our comfortable dining room, where you can enjoy a drink from our full bar. Prefer eating at home? Call us and place an order for pickup or delivery. 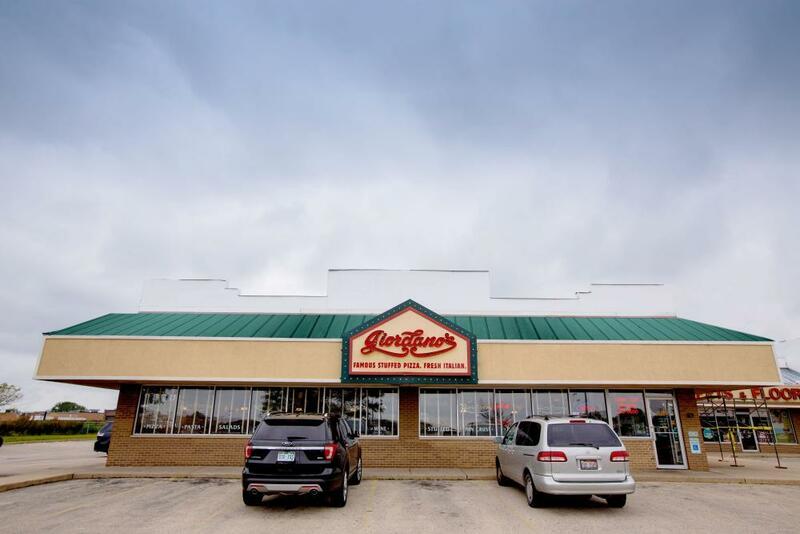 Our Giordano's location in Streamwood, IL, makes customers feel right at home. Like you, we chose this location for a reason. Your reasons may differ from ours or your neighbors, but we all love this place and call it home. In the 1830s, dairy farmers populated Hoosier Grove, the area that would eventually become Streamwood. The community would remain relatively unchanged until the farms evolved into suburbs in the 1950s. With the help of the GI Bill, Korean War and World War II veterans were buying homes locally. Then, in 1956, the company L & H Builders began developing the area that would become Streamwood. Once there were enough houses and residents, the village of Streamwood was officially incorporated in February 1957. The village continued to grow over the next few decades. Unfortunately, that growth brought on problems in the 1980s. The town came together in the 1990s to fix those issues, which set a tone for growth and community support. The year 2017 marked Streamwood's 60th anniversary, and today, the village is home to more than 40,000 residents. Mallard Lake: Do you want something fun to do on a beautiful Saturday? Visit this 948-acre nature preserve with the whole family. You'll be able to enjoy the great weather while seeing forest and wetlands. It's a popular place for hiking, boating and fishing. Streamwood Park District: If you and your kids are feeling like you're in a rut, the village of Streamwood can help you find something to do! Whether you love the arts, sports or just learning something new, the Park District can help you find just that. Play disc golf at Sunny Hill Park or Shady Oaks Park. Sign up for a fitness class at the Community Center or learn about the village's old one-room schoolhouse in the Hoosier Grove Museum. Streamwood Veterans Memorial: Because the town was populated primarily by veterans and their families in its early years, the Streamwood Veterans Memorial honors those early residents, as well as today's serviceman and woman from any branch of service. Want to find some good food in Streamwood? You're in luck! Visit Giordano's for the best deep dish pizza in Streamwood, IL! When it comes to the best Chicago-style pizza in town, you don’t have to drive all the way into the city — come to Giordano’s instead! Giordano’s has earned a reputation as the best pizza place in Chicago since 1974, and we’re proud to bring our delicious stuffed double-crust pies to Streamwood. Isn’t it time you brought the flavor of Chicago’s special pizza home? Handcrafted Pizzas of Artisanal Quality Take six trained craftsmen, add incredibly flavorful ingredients and combine to build a slow-baked stuffed pie you’ll crave forever. You’ll love the red and ripe tomatoes below our bubbling, fluffy mozzarella. You’ll also love our fresh vegetable toppings and meats, which our artisans layer carefully. Most of all, you’ll love our flaky double crust, which we bake to pie-like perfection. It’s why Giordano’s is the best pizza delivery and restaurant in Streamwood! Our Streamwood location also creates delicate pastas, fresh salads, hearty sandwiches and zesty appetizers that will leave you coming back for more. Don’t forget to ask about our gluten-free options, too!